Our Purple Rosebud Robe will be a hit! 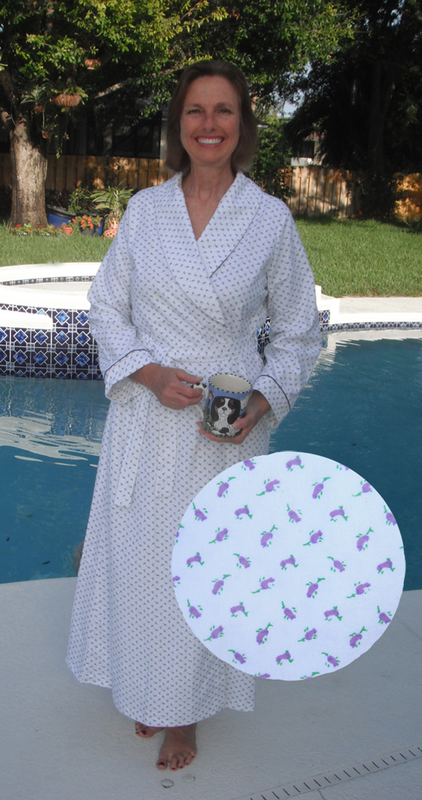 Now in 6 sizes for a perfect fit, 52 inch length and a medium weight 100% Cotton Flannel (5 oz. per square yard). This style offers full length sleeves, an inside tie, hidden pockets, exterior tie, 2 inch loose cuff, and matching purple piping in 100% Cotton Flannel that is brushed for extra softness. Machine wash and dry. 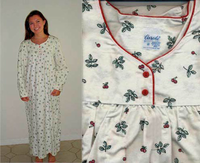 Quality made in the USA with imported fabric. 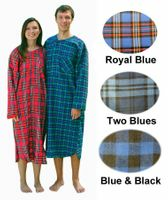 Size 2XL and 3XL are $3 more per robe.